It’s Souvenir Sunday, a day to celebrate some of the fun, local and, hopefully, inexpensive souvenirs you can pick up when you’re stuck at the airport. This week’s souvenirs come to us from the Halifax Stanfield International Airport (YHZ) in Nova Scotia. At this busy Canadian airport, Clearwater Seafoods offers a wide variety of live and cooked lobsters for travelers to take home with them, along with Nova Scotia scallops and smoked salmon. 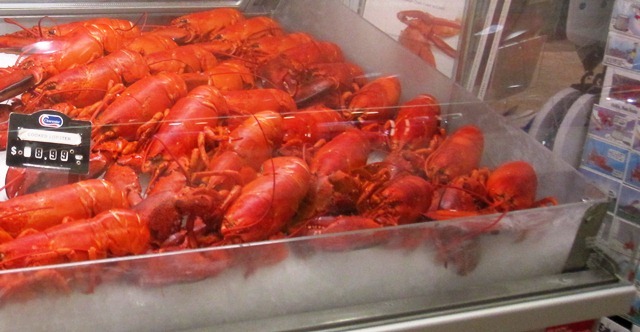 According to shop manager Michelle Porter, during the busiest parts of the tourist season (spring, summer and fall), hundreds of pounds of fresh lobster are delivered to the airport daily and the shop packs them up for passengers to take with them as carry-on luggage. “We do recommend passengers carry their lobsters with them. Our Lobster can be checked if you’d prefer but we cannot guarantee that they will make it to their destination,” said Porter. 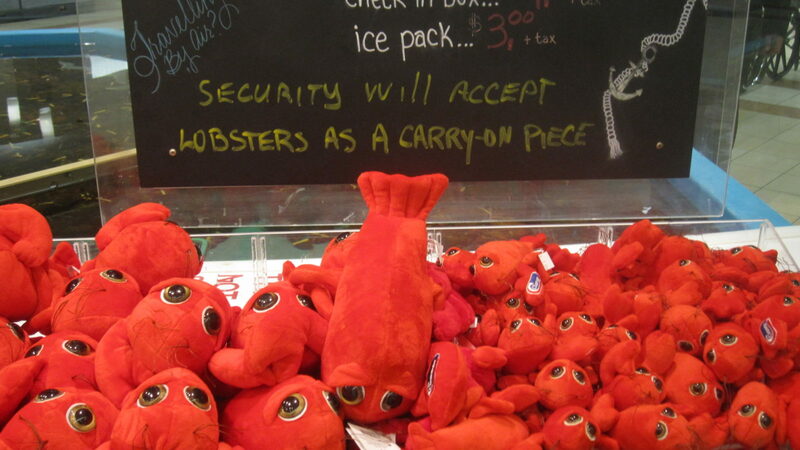 For travelers who would rather not travel with live or cooked lobsters, Clearwater Seafoods also sells lobster gummy candy and these adorable stuffed lobsters, which come in sizes large ($10.99) and small ($7.99). Do you poke around the shops when you’re stuck at the airport? If you find something that’s fun, inexpensive and “of” the city or region, please snap a photo, take some notes and them along. If your souvenir is featured on StuckatTheAirport.com, I’ll send you a travel-related souvenir.